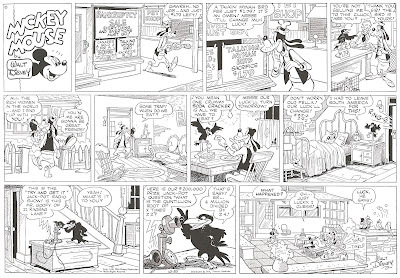 I strongly suggest you to buy one of the lates WB home video releases which does include 20 restored cartoons, some of them with restored original titles unseen from their original theatrical release. 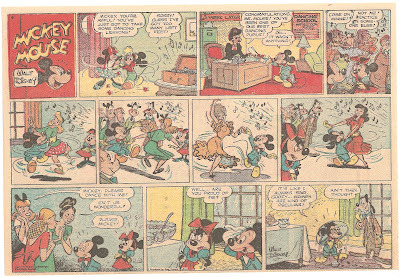 The shorts are the complete theatrical output of Sniffles the Mouse, Hubie and Bertie and Freleng's "Mouse Mazurka" (this one included as a bonus among with several other unrestored mouse-themed shorts). 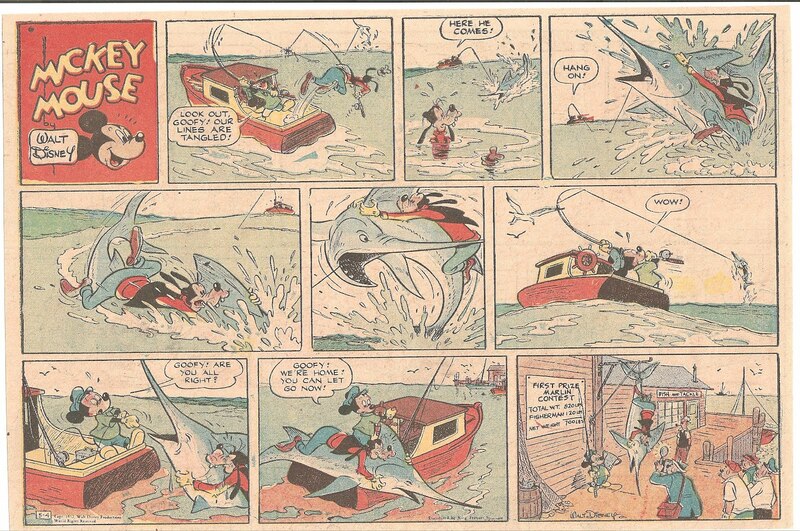 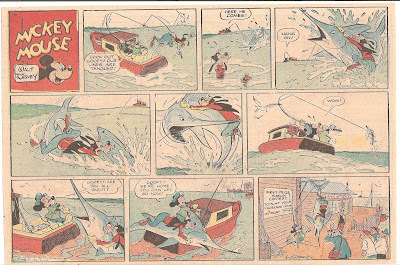 Enjoy other sunday pages by the underappreciated and unsung Manuel Gonzales. 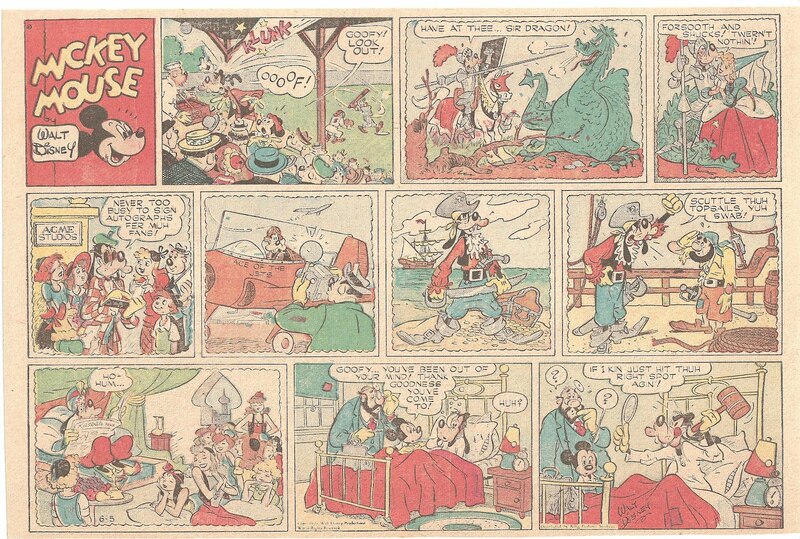 His style is marvellous and was a great inspiration for italian "Master" Romano Scarpa. 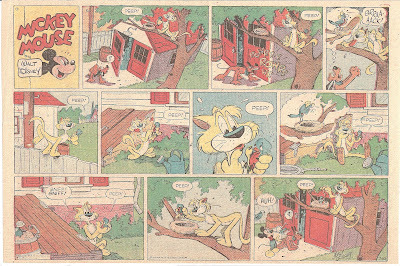 You'll notice how the cat, a recurring character in the pages, is the same that appears in the Disney short "Pluto's Kid Brother". 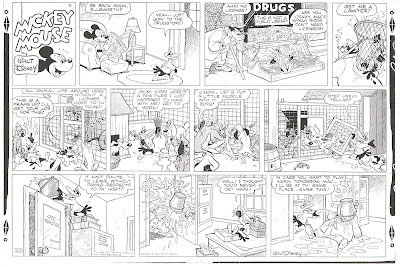 Hi folks, back from "The Twilight Zone"......gone are the days I could find the time to update this blog every day or every week.....my next post was almost a year ago. 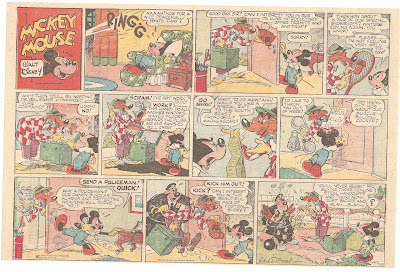 But I want to come back. 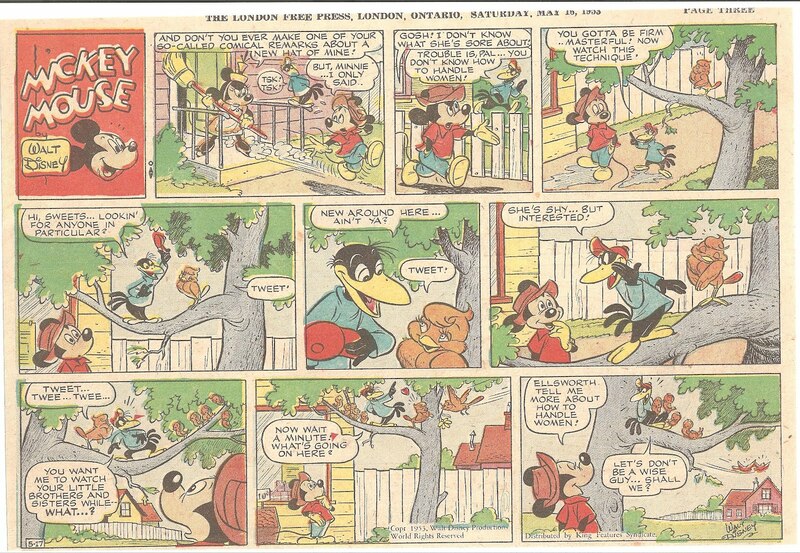 As a gift here you have several sunday pages with Ellsworth, better known in Italy as "Gancio", the talking mynah bird (mind you, not a crow or a magpie). 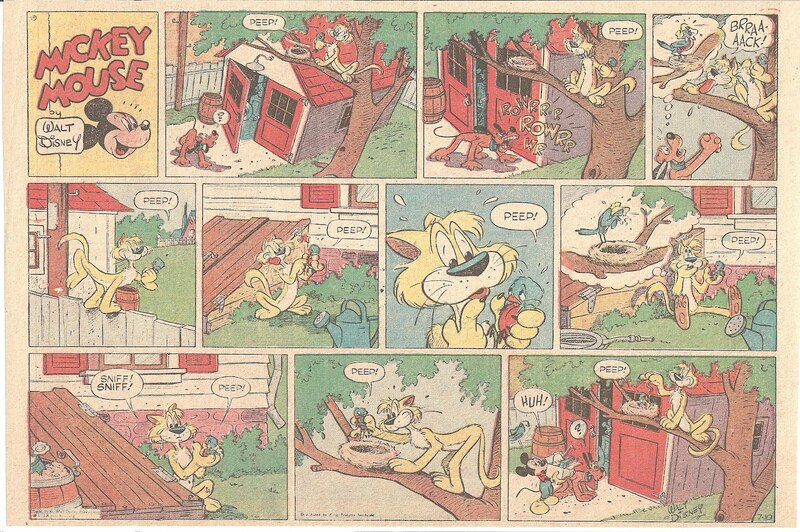 Enjoy this stuff, never reprinted since its initial release on newspapers. 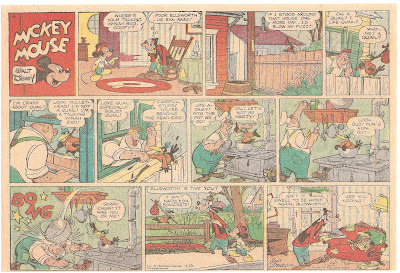 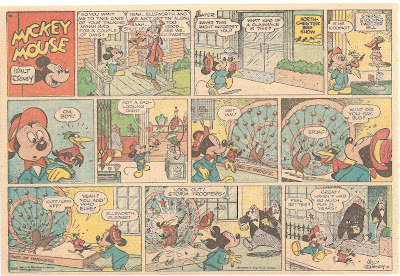 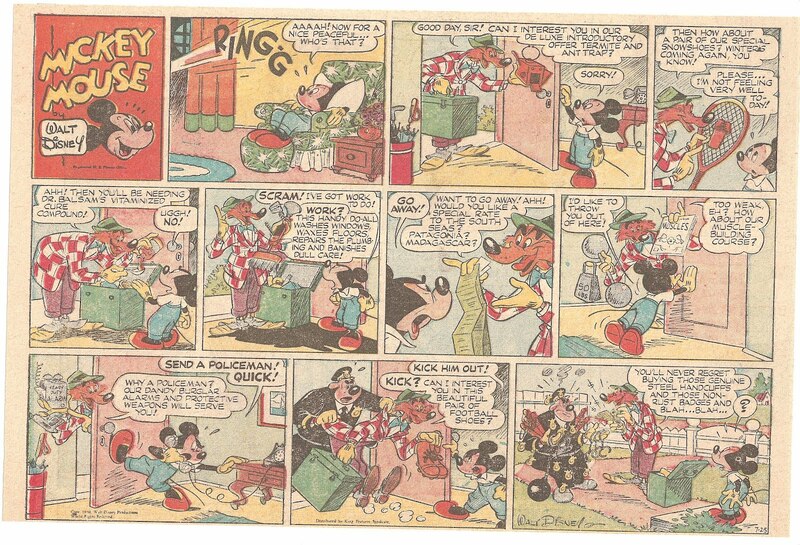 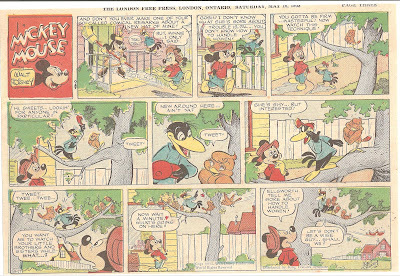 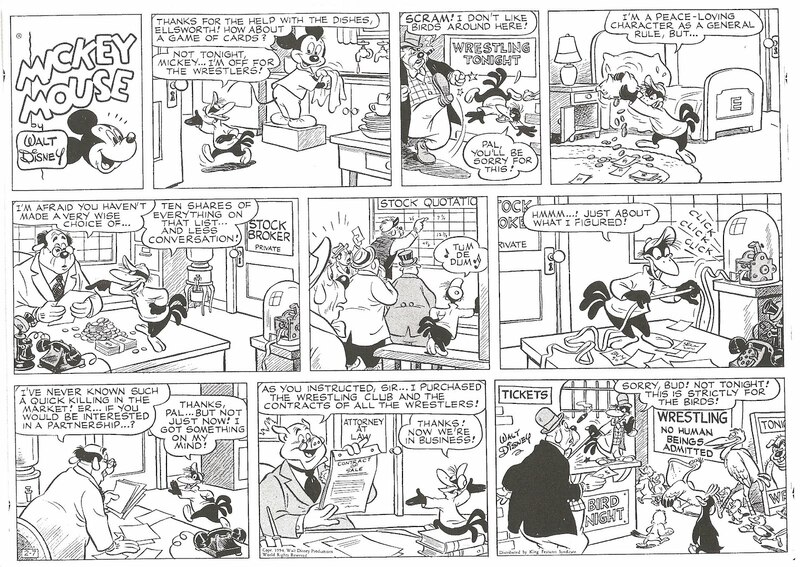 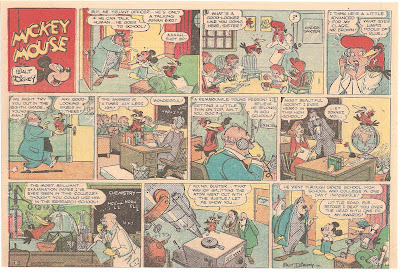 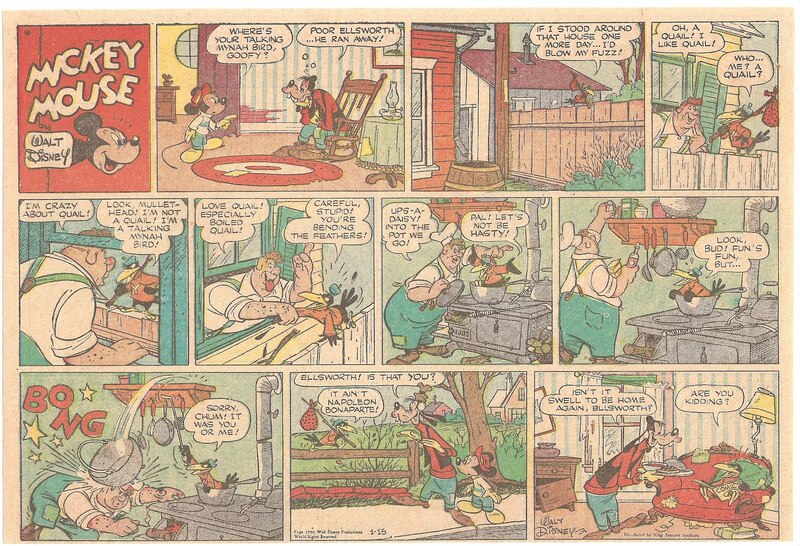 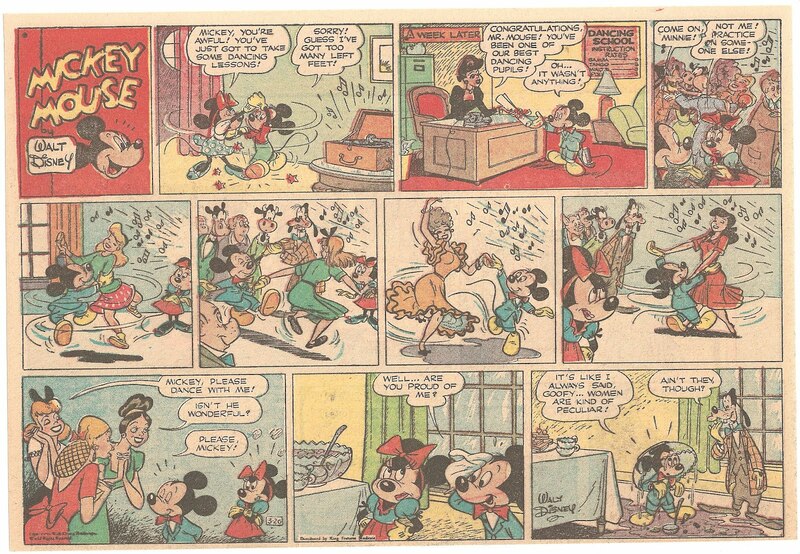 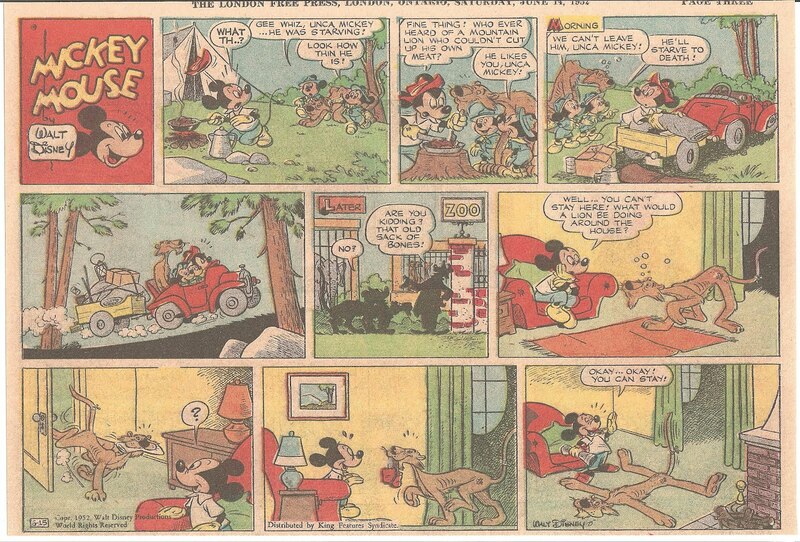 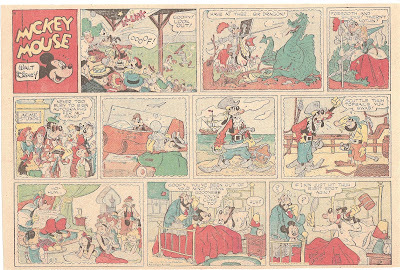 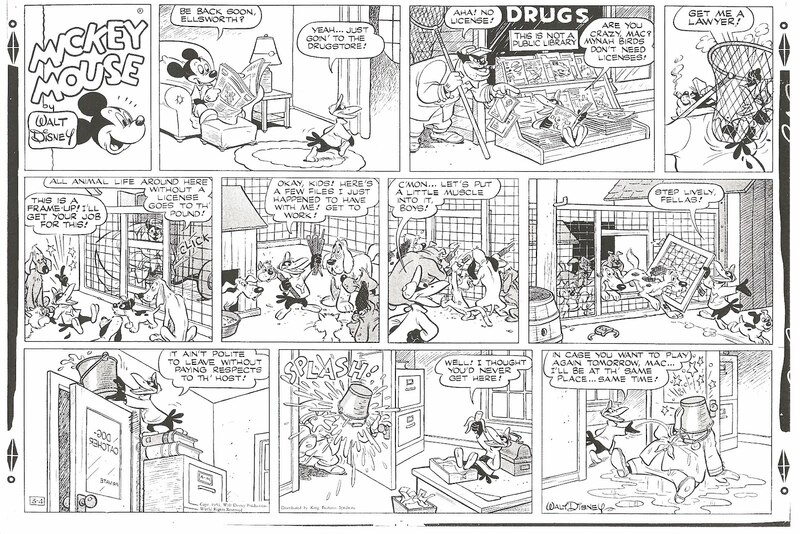 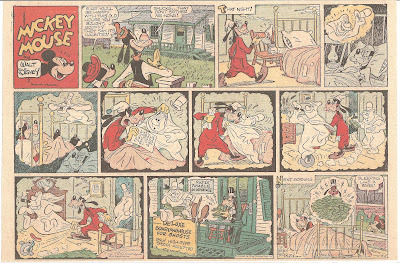 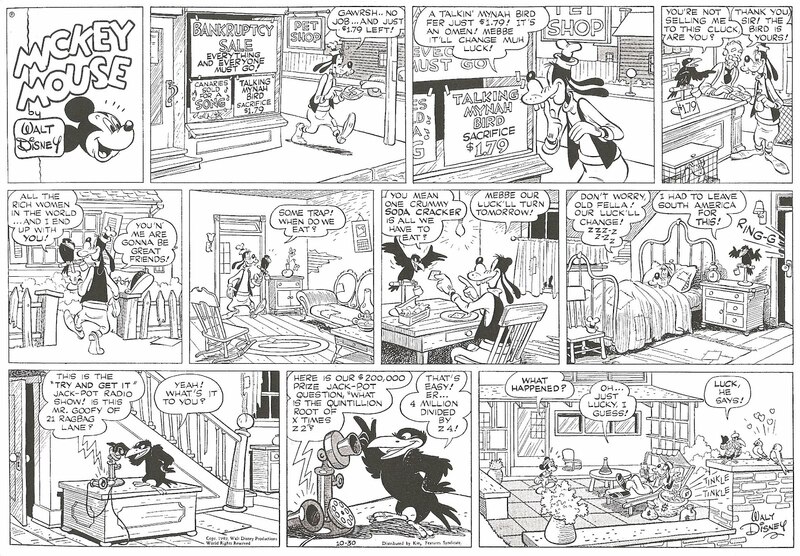 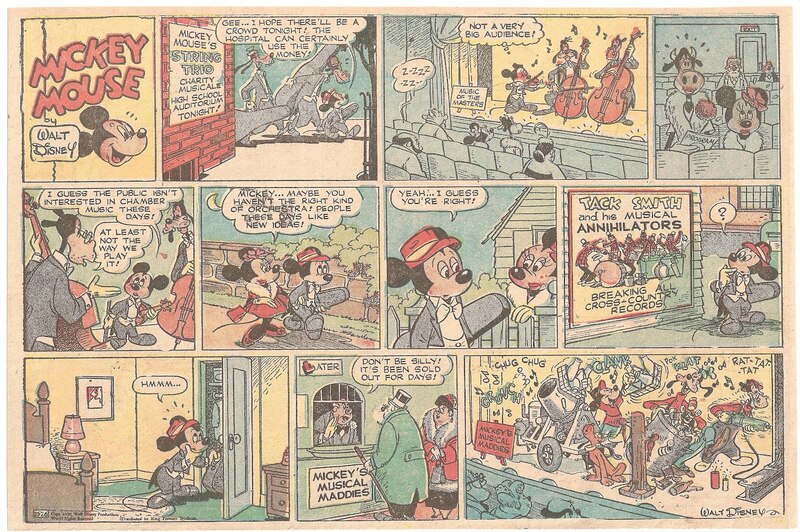 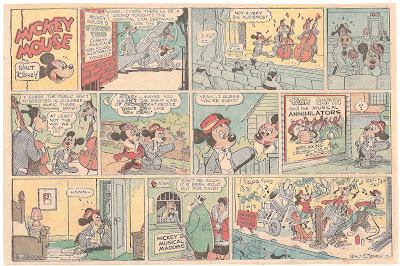 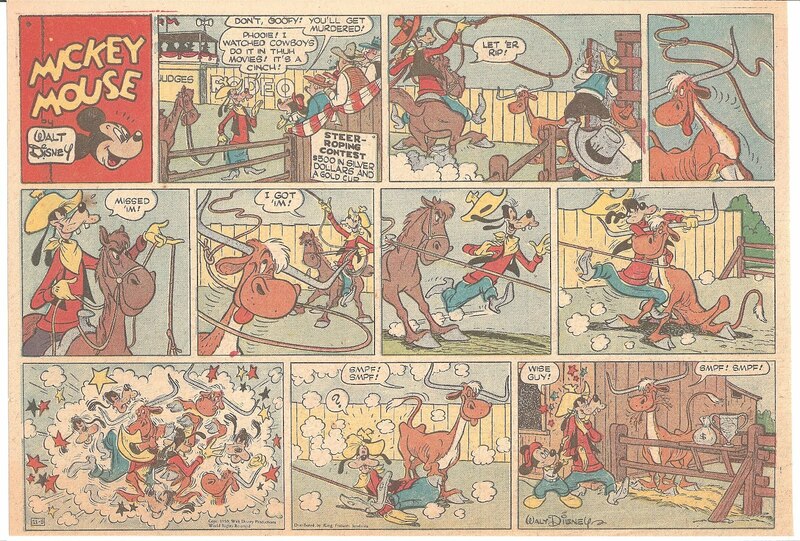 David Gerstein, if you are reading this, how I'd love a collection of Disney Sunday Pages devoted to Mickey Mouse and Silly Simphonies (this second one then evolved into Joe Carioca, Panchito etc.). 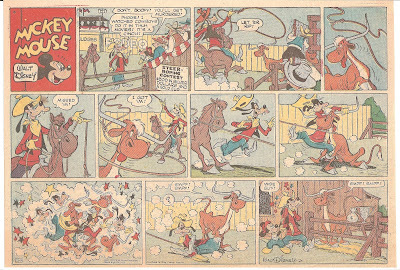 Holy Molly Moo-Cow! 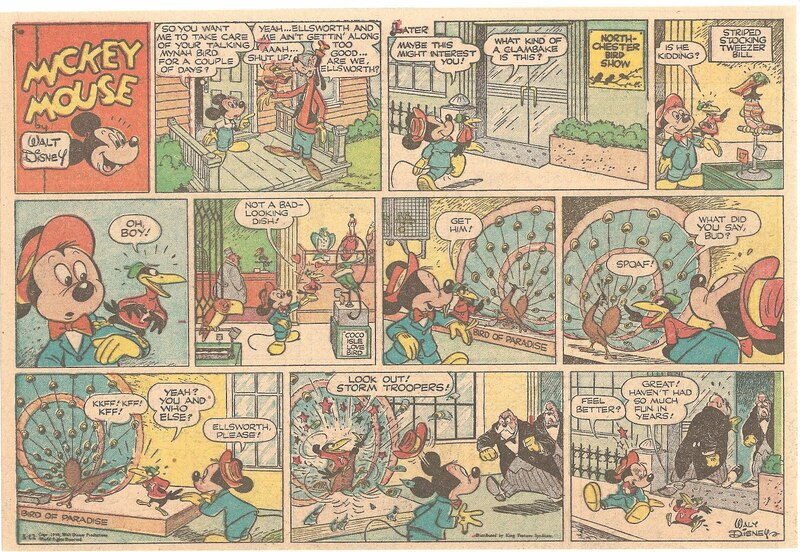 David Gerstein got a Blog!!! 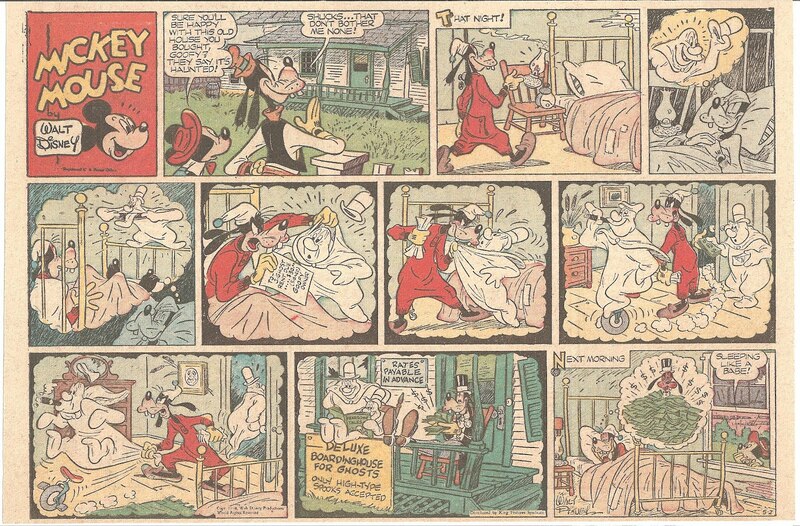 Shots Moment from "The Foghorn Leghorn"